About Our Studio Location: Portrait Pretty Photography is a nationally published and award winning portrait studio. Our commercial studio location is by appointment only. The studio is centrally located in Buffalo, NY. We serve all of WNY by being centrally located with quick and easy access from the 90 as well as the 190. And because we love shooting outdoors so much as well we are right by the waterfront. Our studio is conveniently located 16 minutes from Clarence and Amherst, 17 minutes from Orchard Park and 7 from metro downtown Buffalo. About the Photographer: We are Buffalo Photographers whom are one of the most sought after newborn, maternity, baby, infant, newborn, senior and family photographers in all of Wester New York. Jennifer specializes in everything, “FAMILY.” From the time the little newborn baby growing in the womb onto celebrating senior year in high school. Jennifer is a Buffalo Newborn Photographer who works to create a truly custom newborn experience in her portrait sessions that are fun and enjoyable and are truly heirloom quality matched by no one in the area. Jennifer’s style is described as elegant and exquisite with an artistic fine-art style. Portrait Pretty Photography offers in-studio by appointment only portrait photography as well as on-location photography in your home or outdoors at one of our favorite parks, beaches or metro downtown. Portrait Pretty Photography has a diverse portfolio and you will be able choose among numerous different settings. If you see something you love, just let us know. With, in your home newborn options, we can do candid moments as well as formal newborn portraiture in the comfort of your own home. Portrait Pretty Photography has been published in magazines and has received numerous awards is the preferred Buffalo NY Photographer by tons of athletes and local celebrities. We offer pregnancy portraits in our studio as well as outdoors among locations throughout WNY. Many expectant Mom’s book studio portraits as well as outdoor portraits. They are so different unique and special in their own ways. For outdoors some of my most high demand locations are the forest, tall golden grass at sunset, the beach, waterfall and metro downtown. We have an array of maternity gowns and cover ups so unless you want to wear something specific there is no need to buy anything, we’ve got you covered. Our maternity pictures are whimsical and elegant really evoking maternal grace and capturing the elegance of Motherhood. 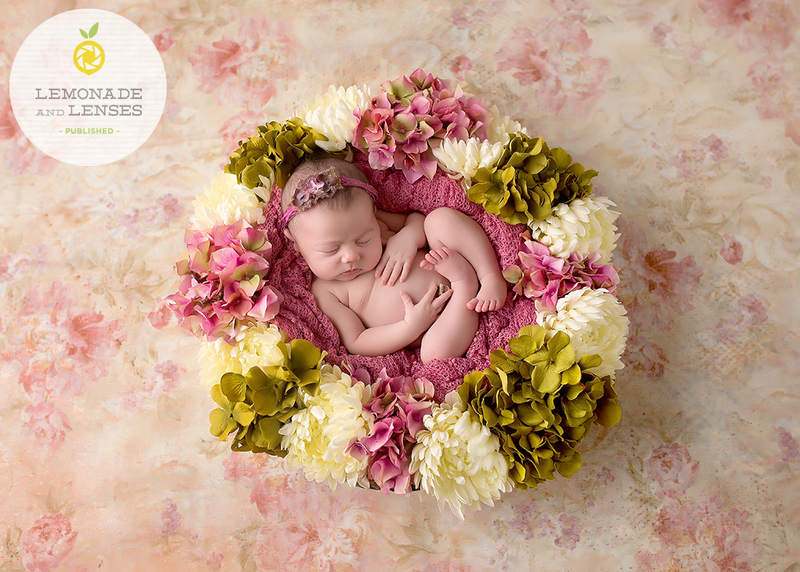 Jennifer Lee creates and captures the most delicate organic newborn portraits, either in the comfort of your home or in studio. If you choose a session in your home, Jennifer will come to you. The best time to have your baby’s photography session taken is within the first 14 days of life, ideally the first 10 if you really want those curly images. The best time to book your session is as soon as possible while you are pregnant, Jennifer only photographs a limited number of newborns every month. Jennifer has an amazing amount of patience and this is required to capture the most precious images of your newborn baby. Jennifer knows and has been trained on newborn safety and only practices the safest poses and composites to ensure your newborn is always safe. She has an array of various props and if you like themes we can do that too. After the session is done and complete it takes around 2 weeks for all edits and composites to be complete. Baby portraits are portraits of small children 3 months and older beyond the infant/newborn stage. Babies have an array of milestones from pushing themselves up, grabbing their tiny feet, to sitting up, to standing and walking. Check out our cute little babies in our Baby portfolio. 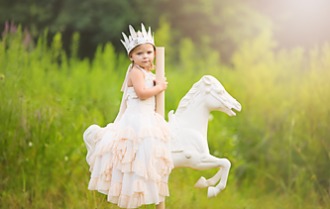 One of a kind children’s portraiture on-location or in our studio. Studio portraits are typically held for Birthdays or mini sessions such as Christmas, St. Patrick’s Day, Back to School and Valentines Day, the rest of the year is catered to some of my favorite places to photograph children. My preference is the beach where a kid just be a kid, have fun, go exploring, test out the water and just play, I also love some of our local parks, that offer tons of diversity. I tend to bring some props to park sessions to help mix things up. These sessions are a combination of posed as well as lifestyle, “candid” portraits. I photograph outdoors all four seasons, the beautiful blooms of spring, the glistening lake in summer, the beautiful foliage of fall as well as a gentle snowy winter session. Whatever your preference is, we can accomodate your vision. We offer an array of family photography sessions, from sessions in our Southtowns studio to on-location family sessions throughout various locations in WNY. We do tons of family photography sessions at the beach as well as parks. Depending on the type of look you are going for, for your session we can advise on what would look best. We can bring props, and if props are not what you are looking for we can opt for lifestyle type portraiture. We can and do offer both. We can even do a little bit of both for your session. This portrait was taken at our 10 acre property, we have a ton of options and diversity to suit all your needs. If you need more information give me a call or contact me to learn more. Jennifer offers senior portrait sessions on-location as well as yearbook pictures in her studio located in the Southtowns. Senior sessions are so much fun and we just have a blast doing them. We have tons of locations that we love to use, depending on your style and what you are looking for there is something for all. Book Your Portrait Session With Me Today! Portrait Pretty Photography is WNY’s premier custom portrait photographer specializing in maternity, newborn, infant, baby, high school senior and family photography. Our Buffalo NY studio offers a full range of photography to choose from for your studio portraits. We have tons of experience photographing at the most beautiful locations throughout WNY and know what time of year and time of day is best when you are booking your session. Portrait Pretty Photography has an elegant, exquisite, yet timeless style, Jennifer strives to create beautiful and unique works of fine art through the her photography by capturing natural expressions of your loved ones. Portrait Pretty Photography by Jennifer Lee prides itself on offering a really truly personalized and customized experience for each of her clients from the portrait experience, consultation and to the presentation of your finished works of art. There are numerous ways to display your imagery with pure elegance and unique style, all while keeping your loved ones individuality and personality. Jennifer only accepts a limited number of sessions per year and services clients in all of WNY including, Buffalo, Orchard Park, East Aurora, Hamburg, Lancaster, Elma, Cheektowaga, Clarence, Amherst, East Amherst, Williamsville, Pendleton, Lockport, Niagara Falls, Lewiston, Batavia, Springville, Holland, Lake View, Angola, Silver Creak, Olean and surrounding suburbs. Please call me for availability. Portrait Pretty Photography is a showcased Buffalo, NY photographer on MarketingTool.com!